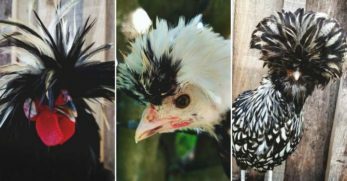 Araucana chickens are rather fun and fascinating birds with several funny little quirks you won’t find in many other chicken breeds. First of all, Araucanas lay blue eggs, a gorgeous surprise in your nesting box beside the plain brown eggs. Araucanas don’t have a tail either, giving them a rather funny look. 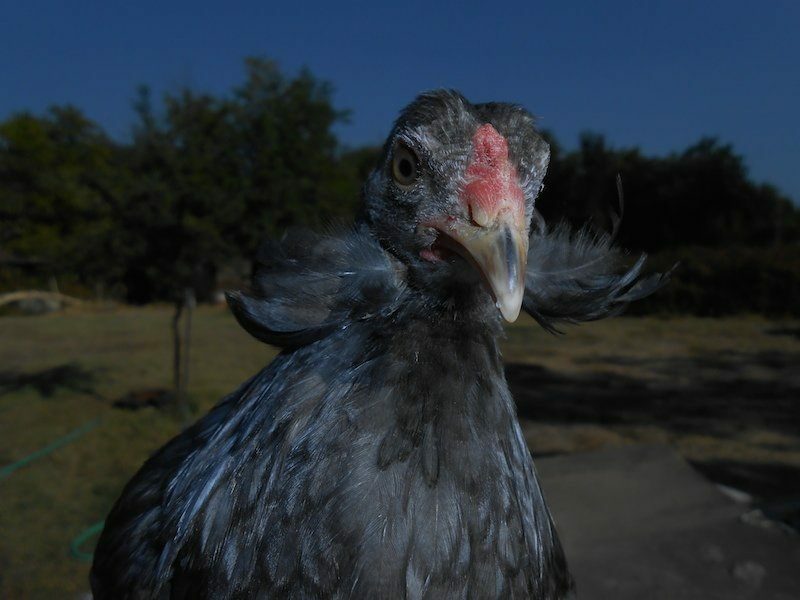 Adding to their comical appearance, Araucanas sport ear tufts, completing the look of a chicken who decided to stick her tail on her face instead of her rump. The early history of Araucanas is not very well documented, so we don’t know much about how these birds originated. 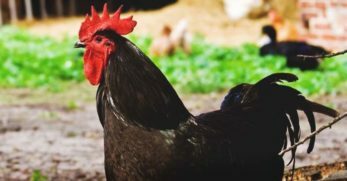 Araucana chickens were originally discovered in Chili by a Spanish aviculturist named Salvador Castello, who called the birds “Gallina Araucana”. Araucanas were added to the Standard of Perfection with the American Poultry Association in 1976. 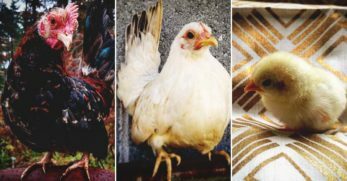 There are five different color variations accepted into the Standard of Perfection with the American Poultry Association. 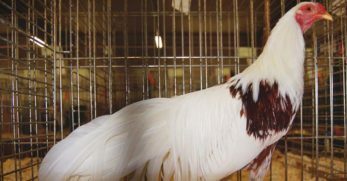 The accepted Araucana color variations are black, black breasted red, silver duckwing, golden duckwing, and white. Araucanas are fairly small chickens. 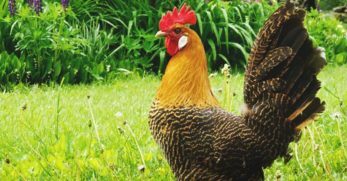 An adult male weighs about 5 pounds while a hen weighs around 4 pounds. Araucanas have a very small appearance due to their lack of tail. 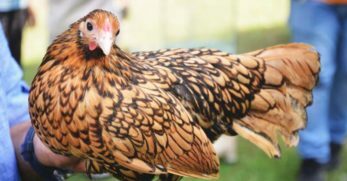 Araucanas are even-tempered chickens with calm and docile personalities. They are friendly birds but can get a bit flighty at times. Generally, Araucanas are rather quiet and don’t cause much commotion in the coop. Egg production from Araucanas is rather impressive, averaging about 250 eggs per year. That is only 30 eggs less than one of the best heritage breed layers, the Plymouth Rock. Meat production from Araucanas isn’t the greatest. Araucanas are relatively small birds, so they don’t have the best production. 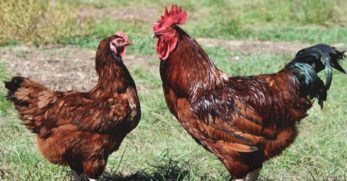 If you want a breed that is a good egg layer and meat producer, consider dual-purpose breeds. Feeding your Araucanas shouldn’t be any different than the rest of your flock. 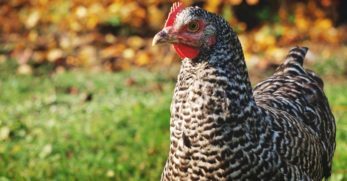 From hatch to 16-18 weeks of age, provide your chicks with a good quality chick starter. You can provide a medicated chick starter; the choice is up to you. 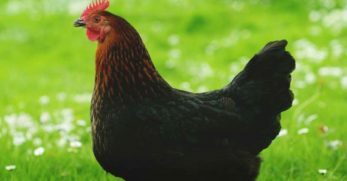 When your birds are laying age, begin to feed them a laying ration and provide supplemental calcium in a separate dish. Araucanas are well suited to almost any backyard style life. While they love foraging and free-ranging, they tolerate confinement as well. 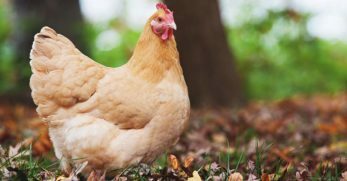 Inside your coop, provide 3-4 square feet of space per chicken and 10 square feet of space per chicken outside in the run. While Araucanas do have some issues, these problems are directly related to breeding and genetics, so they’ll be discussed in the next section. 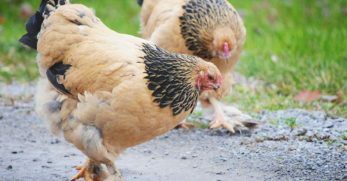 Other than breeding related issues, Araucanas are somewhat healthy chickens with a decent amount of pep in their step. 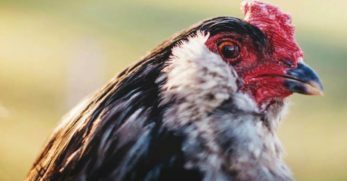 Maintain a healthy flock by keeping clean living quarters as well as a close eye on the livelihood of your chickens. Araucanas are a rather challenging bird to breed and definitely not a breed recommended for a newer and slightly more inexperienced breeder. 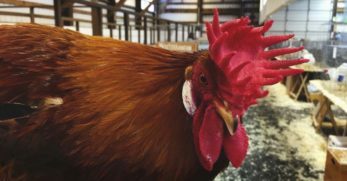 The tufted ear and rumpless traits are both carried by lethal genes, making fatality rates spike higher than most breeds. If you’re after a challenge, Araucanas certainly won’t disappoint in this department. For the tufted ear gene, two copies of this gene result in a chick dead in the shell a few days prior to hatch. However, to only have one copy of the tufted ear gene, your hatches will result in only 20-25% of the chicks tufted. From this percentage of tufted chicks, an even smaller number will have symmetric tufts. 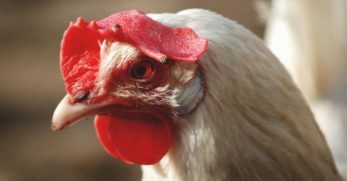 Additionally, the rumpless gene in chickens decreases fertility up to 20%, making breeding even more challenging. Some breeders have reported the length of Araucana’s backs to grow shorter with every generation. 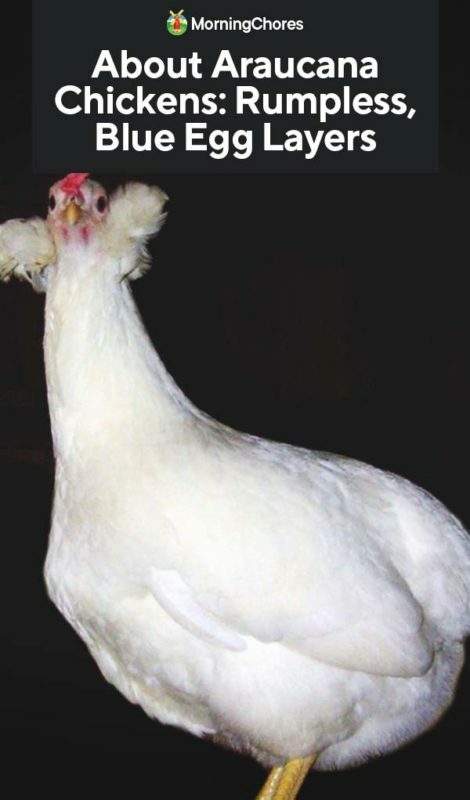 There will come a point when an Araucana hen has a back so short, the rooster can not properly tread her, and natural breeding becomes impossible. Unfortunately, these are not issues that can be avoided in the breeding of show quality Araucanas, making them a rather daunting breed to approach. For someone seeking a challenge, Araucanas would undoubtedly deliver. This breed will require copious patience, and be ready for many frustrating results. These birds are a bit more basic than the Araucanas and they don’t have issues with lethal genes. Easter Eggers are easy to find just about anywhere for a rather affordable price. 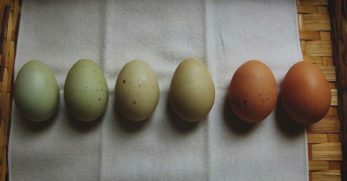 The Easter Eggers will lay many colors of eggs from blue to green to sometimes brown. 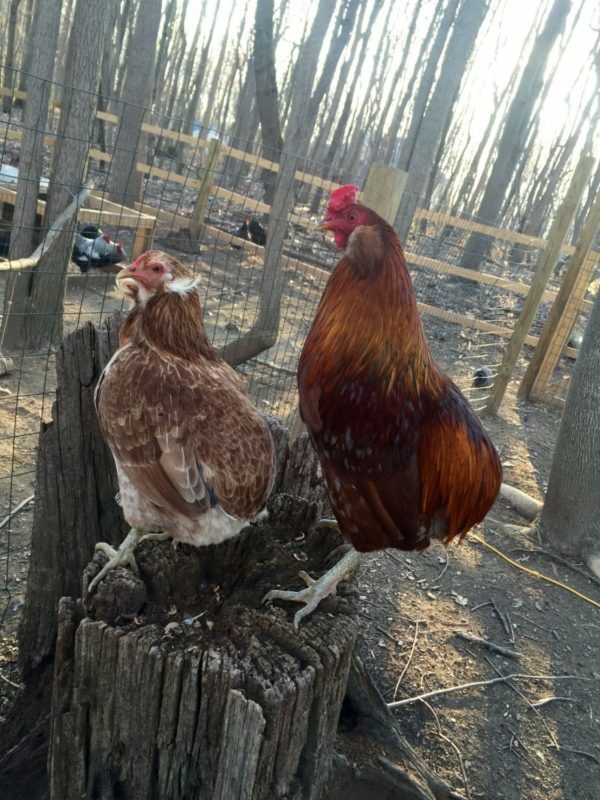 You’ll never find two Easter Eggers that look quite alike and they are adorable little birds to have around. Ameraucanas were actually bred from Araucanas but they have had the lethal genes bred out of them, which makes them much easier to breed. 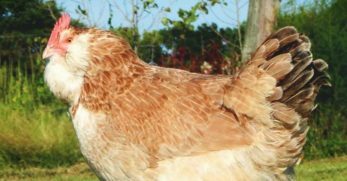 If you’re after a bird like the Araucana chicken, but without the complications, Ameraucanas are it. 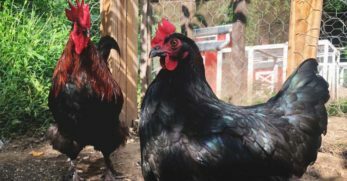 Ameraucanas are fantastic layers of beautiful blue eggs and make a great addition to any flock. 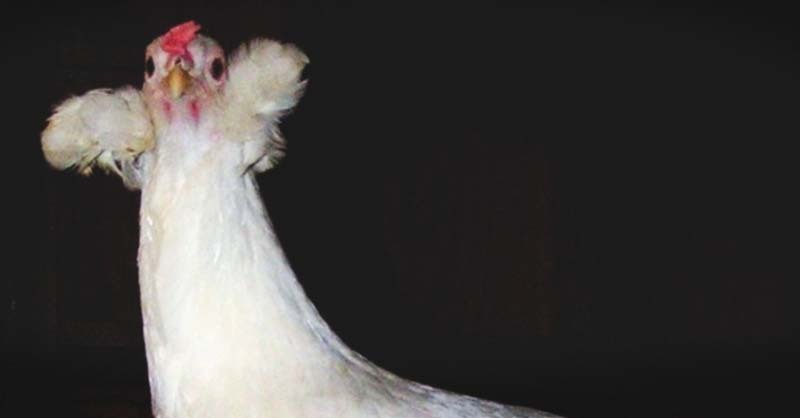 When Salvador Castello discovered the Araucana chicken, he believed he had found a new species of animal. Castello reported his findings to the First World’s Poultry Congress in 1921, and the name Gallus Inauris was proposed for the animals. 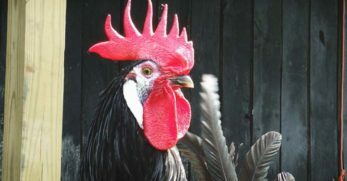 It later became apparent they were chickens and part of the Gallus gallus domesticus group. 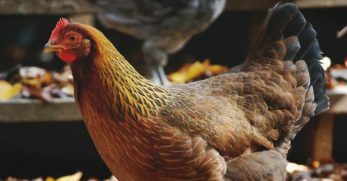 Despite some of the challenges many chicken keepers may face with the breeding of Araucanas, they are a great bird to have around. The incredible egg production of Araucanas paired with their dorky appearance, what’s not to love? These perky little birds make a fantastic addition to any flock, and you’ll love the variety they add.